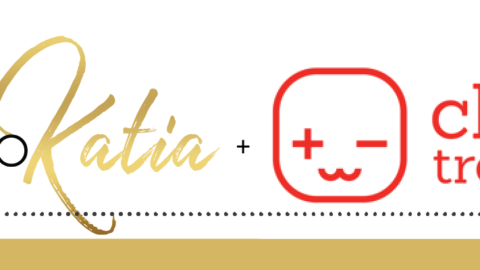 Home Chibitronics and Lawn Fawn collaboration kit release! Hello! We’re so excited to announce our collaboration with Lawn Fawn in creating an exclusive limited-edition kit, Charge Me Up!! 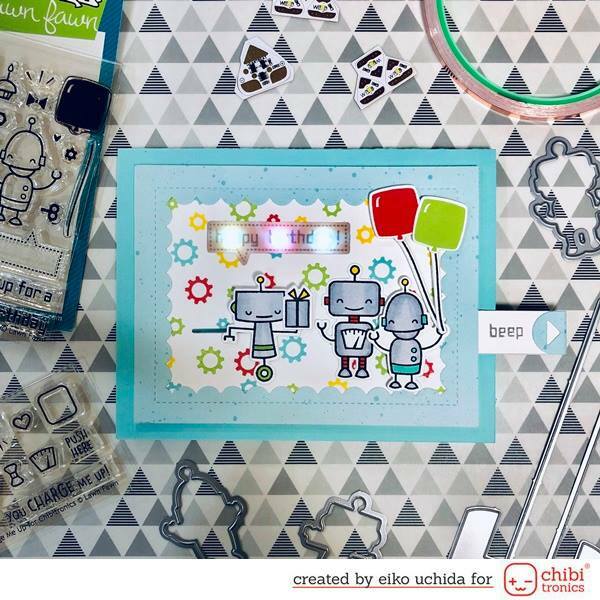 With an exclusive cute robot stamp set, coordinating die, LED stickers, copper tape, patterned paper, templates, and easy-to-follow instructions, this kit is perfect for learning how to create interactive light-up cards. You will create two complete cards, and have the skills and supplies needed to create even more! 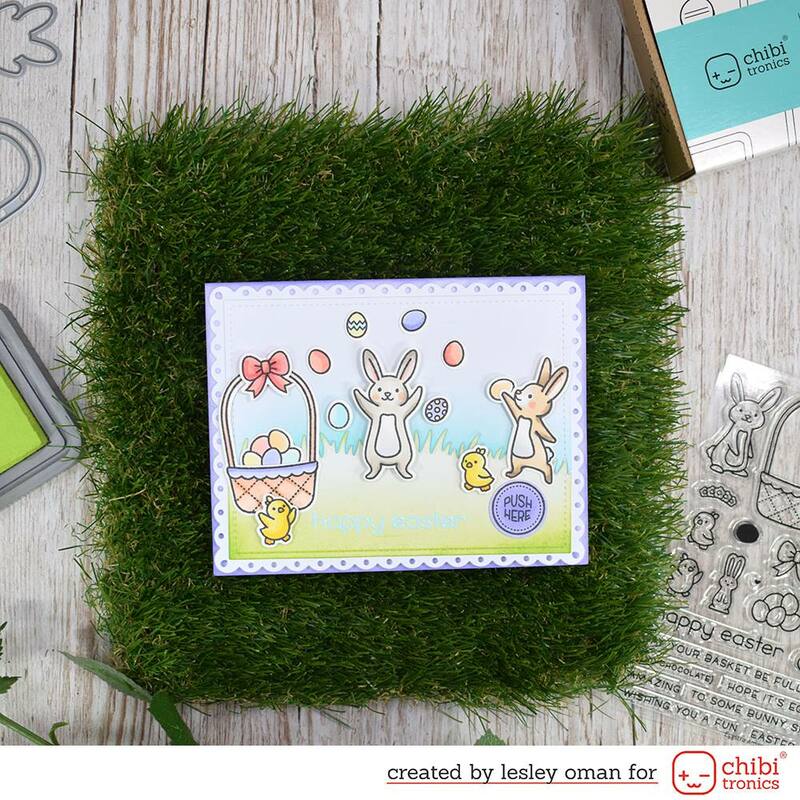 With the Charge Me Up kit, you can make the following two cards and have the skills and supplies to create more! 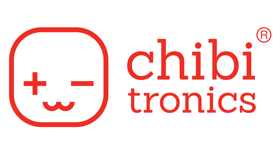 Additional supplies can be purchased at the Chibitronics shop! 1. 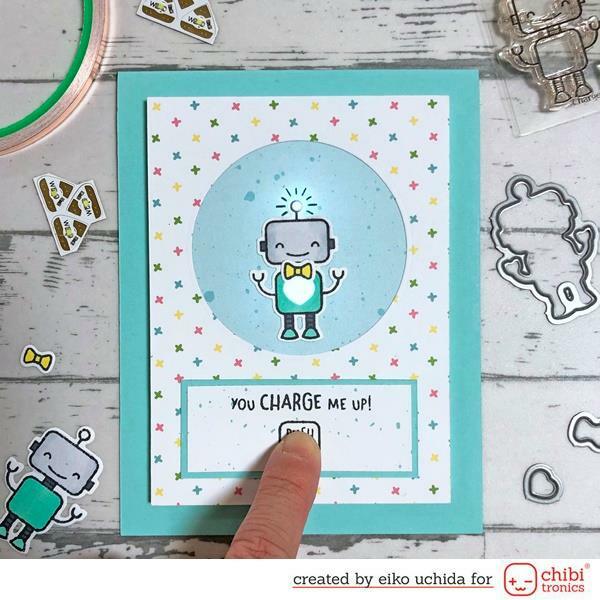 Simple Circuit Card – Press the button and the cute robot glows! 2. 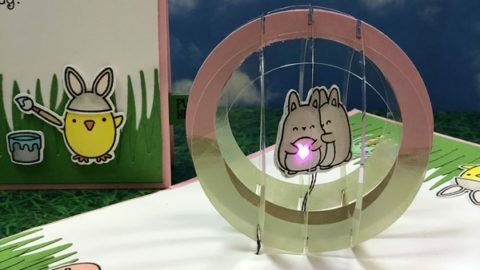 Parallel Light Circuit Card – What’s better than one glowing robot? Two! 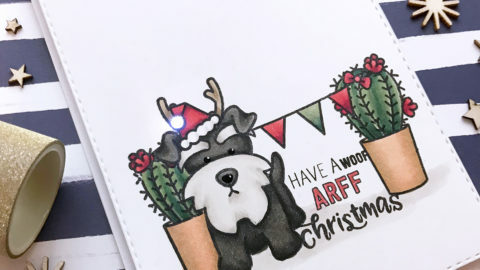 The circuit template is very versatile and can be used to create other designs. 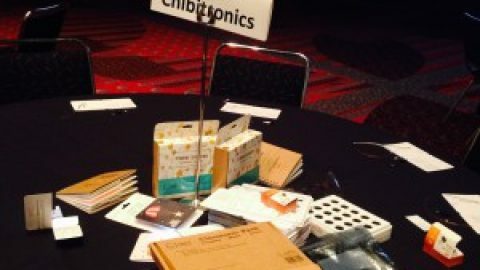 Our design team and the Lawn Fawn design team will be showcasing projects over the next three days using either the exclusive Charge Me Up kit, templates, or both to provide you with even more inspiration! We will also be giving away a kit to one lucky commenter each day so make sure to hop along and visit all the inspiration stops for a chance to win! 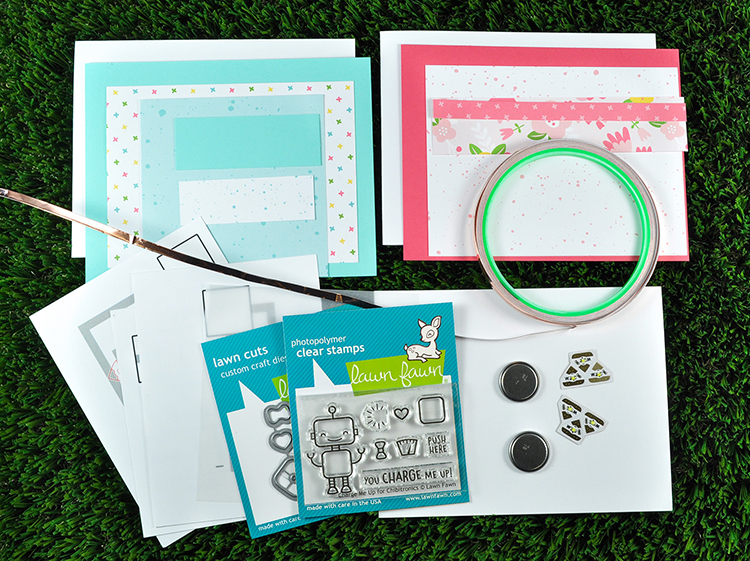 Thanks for stopping by and we’ll see you back tomorrow for even more crafty inspiration! That’s a great collaboration!!! This kit is really fun!!! Beautiful projects!!! Off to hop!!! Two great companies working together to create such a wonderful kit. Love this collaboration kit! It’s simply deLIGHTful! Cute kit with the robots.